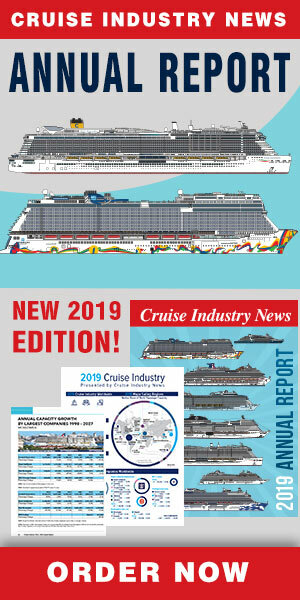 Dream Cruises has released additional renderings and more details on its upcoming pair of Global-class newbuilds. The first ship will join the company's fleet in late 2020, and feature artificial intelligence including facial and voice recognition to eliminate most queues. Dream Cruises said the ship will sail "worldwide itineraries." The ship will also provide a variety of exciting entertainment including a roller coaster, water park and surf simulator, the company announced.